Mixing and editing songs are trendy now since life is full of innovation. 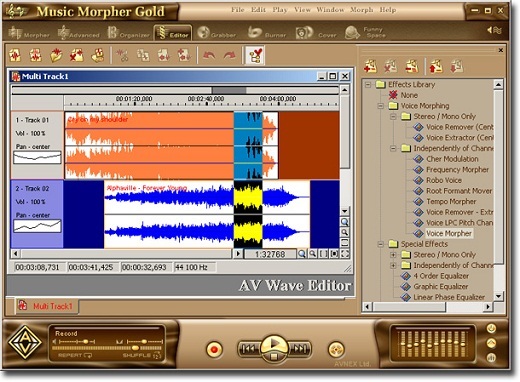 If you are also interested in this trend and looking for a cool music editor, look no further because AV Music Morpher Gold exists for you! · Brand new virtual Easy DJ:The newly created and integrated in the package for DJ fans to do DJ tasks without effort. · All-in-one Converter module: The newly created for converting multi-format audio files more quickly and conveniently. · Compact Mode: Supported for simple playback anytime you need it. 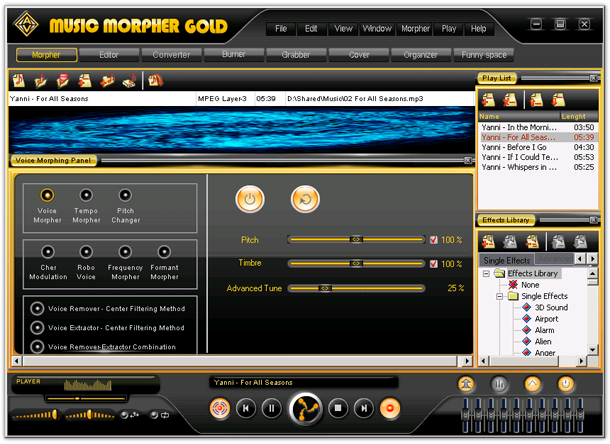 · New Morpher module: Developed by combining the former premium Morpher and Advanced modules to bring users more convenience. · Voice Remover & Voice Extractor: Remove or extract the vocals or music from stereo songs (results depending on recording quality and embedded effects) without the vocals. Now you can remove vocals or voice from music easily and fast. For mixing music and vocals together to make funky, unique hit songs (working with whole songs or edited clips). · Effects Mixer and Editor: For adding and combining studio- quality audio effects for optimal quality and amazing new sounds. · Multi-track Session Editor: For mixing of favorite tunes together to create new, groovy remixes or mega-mixes in a snap. audio4fun is using Hatena Blog. Would you like to try it too?